Nancy Gutierrez, dean of the College of Liberal Arts & Sciences at UNC Charlotte, has been named a trustee of the North Carolina Humanities Council for a three-year term. The North Carolina Humanities Council emphasizes the relevance of the humanities in everyday life, and promotes learning from the cultural diversity that exists in North Carolina. Established in 1972, it is affiliated with the National Endowment for the Humanities. The organization provides ways for North Carolinians to engage with one another through the humanities, including Road Scholars, which provides speakers to community groups free of charge. The Museum on Main Street program collaborates with the Smithsonian Institution to bring travelling historical exhibits to small town and rural museums. All the programs support lifetime learning in North Carolina through the humanities, especially literature, history, art, music and philosophy. 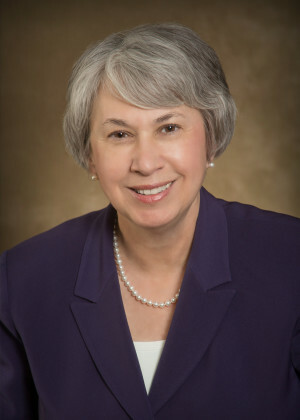 Gutierrez has been dean of the College of Liberal Arts & Sciences since 2005. She is a scholar of early modern English literature and is a strong advocate for the liberal arts. She is past president of the National Council of Colleges of Arts and Sciences and has served on community and national boards, including the Arts & Science Council of Charlotte-Mecklenburg and the Women + Girls Research Alliance at UNC Charlotte.